On Saturday, August 26th, national dog day took place. In case you missed it, we thought we would fill you in and help you celebrate, since we know how much you adore your four-legged friend! So what is national dog day? National dog day is celebrated every year on August 26th. It was founded in 2004 by Pet & Family Lifestyle Expert and animal advocate, Colleen Paige. National dog day celebrates all dogs, mixed and pure breed. The day is intended to recognize the number of dogs that need to be rescued each year and it acknowledges family dogs as well as dogs that work each day to save lives and keep us safe. Not sure how to celebrate? Give your pup a big hug and kiss and take them on a fun adventure! You could also have a national dog day party and invite all of your friends and their dogs or buy your dog a new collar or leash! 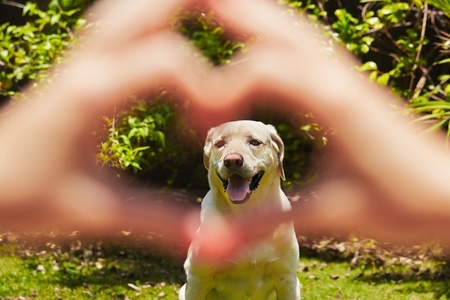 Make your pup feel loved in any way you can and acknowledge them. Better yet? You could buy a dog from Pauley’s Pups! We have many puppies for sale and we know they will bring love, energy and companionship to your home every day. We have a variety of small dog breeds for you to choose from and our staff can help you pick the best breed for you and your family. Give us a call at 804-798-7877 or stop in and see us in Ashland, Virginia today!